“The Stretch Gazette” is a special collection of weekly posts which feature popular and original Yoga articles, quotes, pictures, and other inspirational material. Every Sunday, The Twisted Monkey will bring you some Words of Wisdom, yoga facts and tips, along with news and updates from our Yoga Studio. You can subscribe to “The Stretch Gazette” and receive email notifications of new posts by entering your email in the box found on the sidebar. Namaste. ~Sign-ups for our May event are currently available. Friday, May 2nd, 7pm-8:30pm, join us for our first ever “YogaR Workshop!” Yoga-Rhythmics is a unique combination of yoga and intuitive dance. This workshop is for women only. Prepayment of $15 is required to reserve your spot. Info and sign-ups are available at the studio only or email us at twistedmonkeyyoga@gmail.com to pay online. ~Our Raffle begins this week…April 24th and takes place through May. The winner will chosen on Thurs. 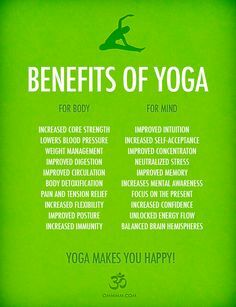 May 29th after the 7pm Hot Fusion class and receive a 12 Class Hot Yoga Card. Purchase 1 Raffle ticket for $5 or get 3 tickets for $10! All proceeds will help benefit instructor Veronica’s journey to Africa and the BuildOn Organization. Good luck! ~Beginning May 6th through October 21st, our Tuesday 7pm Power-Vinyasa class will become a DONATION BASED class only. This means we will not be accepting class cards, Groupons, Living Social vouchers or gift certificates during this time. Instead, we hope you will join us in helping our instructor Veronica raise money for her cause. We recommend donating the $10 class price, but whether you have $5, $10, less or more, any bit you can contribute will be appreciated. To read her story or if you’d like to donate, visit her Fundraising page: http://act.buildON.org/VeronicaCarpenter. ~Continued renovations will be taking place in the main-level studio. We apologize in advance for the dust and mess. Over the next few months (and through the Summer) we will be making some great improvements! Thanks for your support and understanding! ~Comments, Concerns or Questions? Email us at twistedmonkeyyoga@gmail.com. ~Have a great week! Namaste. See schedule for specific class times. Enter your email address to follow The Twisted Monkey and receive notifications of new posts by email.